Orthodontics is the perfect marriage between the biological sciences, working directly with people, and working with my hands to create something tangible, lasting, and cosmetically beautiful. My greatest love, however, are the people I meet because of orthodontics. I get such joy in both treating and getting to know my patients for a brief window in their life. I see children come into the office with all kinds of malocclusion and misalignment, but over the course of a few years, I get to know them as individuals while correcting their orthodontic problems. Of course, I would be unable to provide the quality of care I do without the help and support of my fantastic team. Each of my team members knows how important customer service is to my practice. They are caring, compassionate, and willing to go the extra mile to help meet our patients’ needs. I am truly blessed to be an orthodontist and have the abilities and talents the good Lord has bestowed upon me. I hope to use them for many years in service to my patients and the community. I am proud to live one mile from my main office in Basking Ridge, NJ. My wife Aurora and I have two children, Robbie and Natalia, who are the greatest gifts in my life. Family time comes first when I’m away from the office. I’m usually with kids at the beach, town pool, baseball field, or soccer practice. Family is a gift from God, and faith is just as important. As a family, we attend St. James Church every Sunday and are active in many fundraising events for Church of Saint James, the diocese of Metuchen, the Knights of Columbus, and Catholic Charities. Teaching our children to put God above all else is the most important life lesson there is! I try to be grateful to God every day and help the less fortunate in any way I can. Professionally, I donate dental supplies to mission trips and participate in Smiles Change Lives and New Jersey Donated Orthodontic Services, both of which provide pro bono orthodontic care for children in families below the poverty level. Our office supports the community by sponsoring the marching band, little league, varsity football squad, girls cheerleading, boy scouts, and boys ice hockey, just to name a few. On a personal level, I help fundraise and sponsor local events at Saint James Parish and in the community for the needy here and elsewhere. I also help to coach Robbie’s tee-ball at Ridge Youth Baseball Little League. Leonid Epshteyn, D.M.D. attended SUNY Binghamton where he completed his Bachelor’s degree in Psychobiology and later his first Master’s degree in Biology. 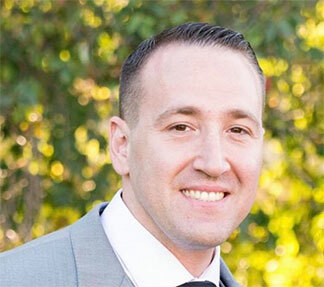 Wanting to pursue his passion, he moved to New Jersey and attended Rutgers Dental School where he received his Doctorate of Dental Medicine and graduated at the top of his class. Following dental school, Dr. Epshteyn wanted to continue his education so that he could provide the best care to his patients. He completed a one-year General Practice Residency at Staten Island University Hospital. It was there that he found his passion for orthodontics. Following his residency, he completed his orthodontic training at Temple University where he received his certificate in orthodontics and his second Master’s degree in Oral Biology. Since completing his formal education. Dr. Epshteyn has continued his education on orthodontic innovations and treatment methodologies. He regularly attends AAO meetings where he learns from international lecturers on the latest techniques and technologies from all over the world. Dr. Epshteyn is also a member of the American Dental Association. 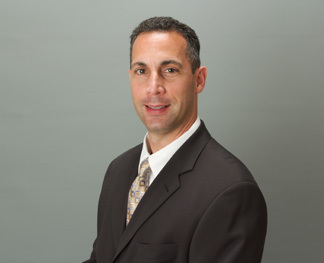 Dr. Epshteyn grew up in Staten Island, New York, and currently resides in South Amboy, New Jersey. 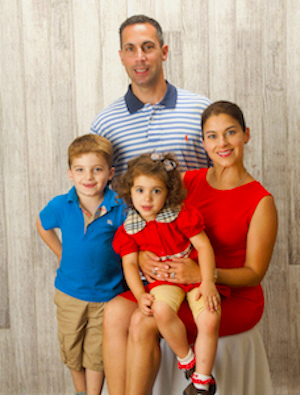 In his free time, Dr. Epshteyn enjoys hiking, working out, practicing Brazilian jujitsu, and spending time with his wife and son.